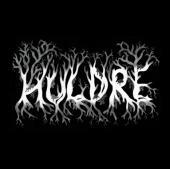 Huldre ( based on a Norwegian word for hidden forest people), are a new young Danish folk metal band. They have female violin and lead vocals. The demo features 4 vocal tracks and one instrumental, Forest polka. Ulvevinter (Wolf Winter) has a quite heavy guitar and standard violin line. Nanna has a nice voice does a cool almost yoddling vocal in some parts. The track gets heavy at the end with a nice guitar solo. Havgus shows Nanna singing in a different style but musically the track is very similar to the first. The end becomes more heavy metal but pretty standard riffing and the violin drops out. Skovpolska (Forest Polka) is listed next but the polka metal track is actually 4th. So the 4th track is probably Spillemand. The band change the pace on this one but again the violin line is very similar to all the other tracks. The mid-section is great as the band gets psyched out for like 30 seconds with some crazy violin and wild vocals. Knoglekvad has some very passionate vocals and a hard driving guitar. This is quite a limited genre and it is very difficult to find a new and original sound in folk metal and, sadly, Huldre do just as most of the other bands and craft some nice songs but offering up nothing new or fresh. Some more variation and some effects on the violin, some acoustic guitars, and some new original ideas and you will have a great band.